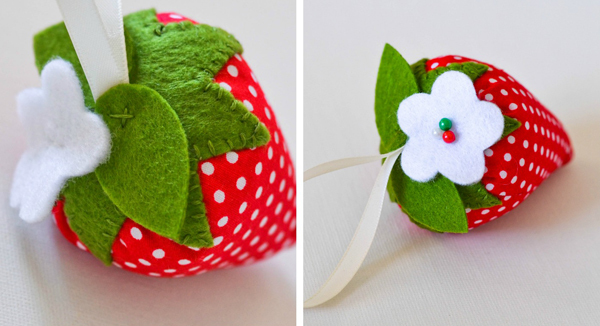 Remember the strawberry pincushions I blogged about in January? Here is the pattern and step-by-step instructions on how I made them. 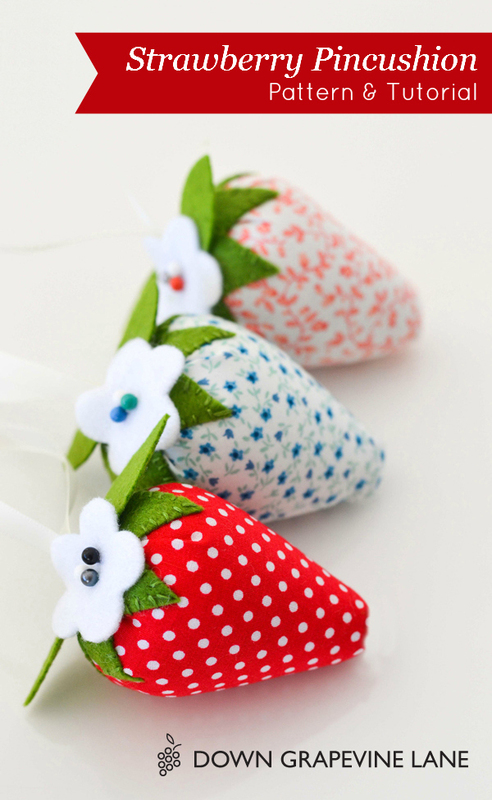 They are quick and make great gifts, either as pincushions or just as cute ornaments. 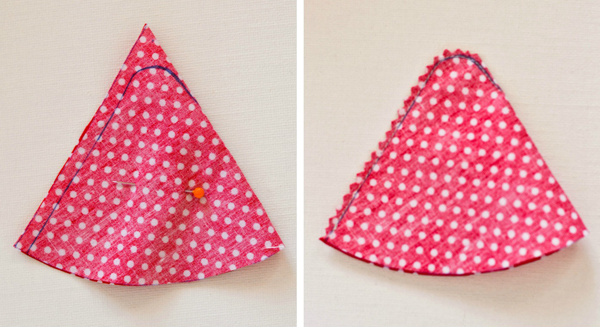 And a great way to use up those very last scraps of your favourite fabric! 1. Trace the pattern for the strawberry body onto the back of the fabric and cut it out. 2. 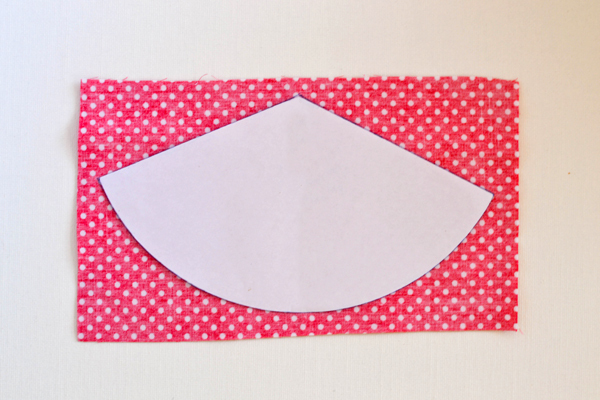 Fold the cut shape in half, then trace a line by hand approximately 1/4 inch from the edge and curve it around so you get a nice rounded bottom rather than a pointy one. Using a short stitch length sew along the traced line, securing your ends. Trim the excess material with pinking shears. 3. 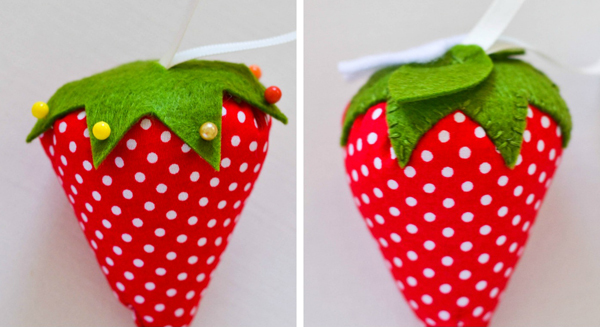 Turn the strawberry inside out, then sew a gathering stitch by hand all the way around the perimeter of the strawberry, approximately quarter inch from the edge. Stuff tightly with stuffing, pull the gathering stitch tight, and secure with a knot. 4. 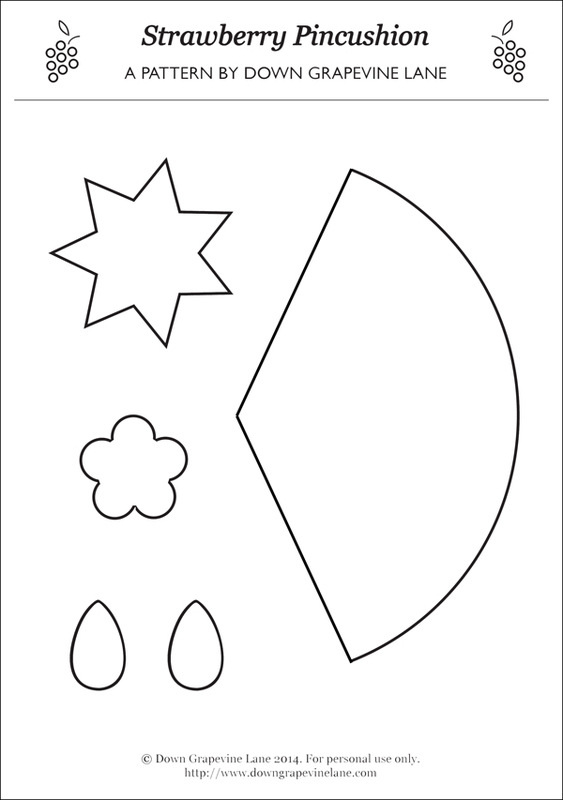 Cut out the shapes for the leaves and flower from the pattern sheet, leaving a margin around them. 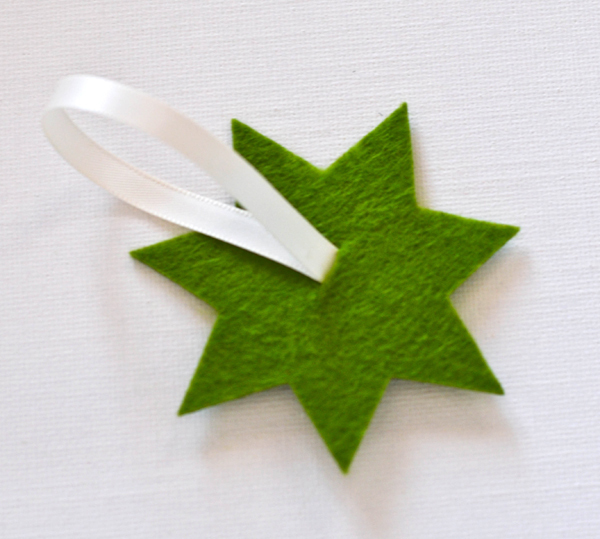 Staple onto the felt using a regular stationery stapler (or you can pin it, but I prefer stapling as it doesn't warp the fabric as much and you get a cleaner shape, especially for small pieces). 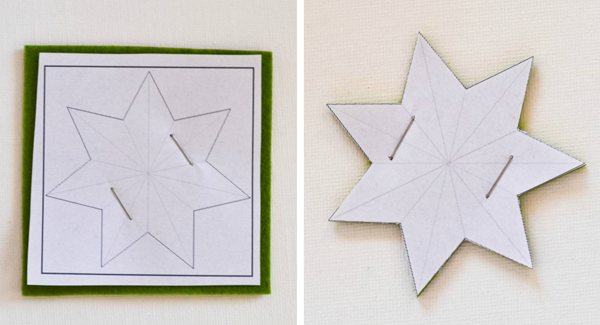 Cut the pattern and felt on the line, remove and discard the staples and paper. 5. 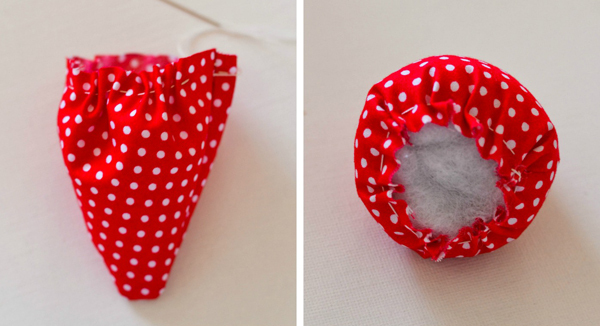 Cut a 10cm piece of ribbon or string, fold in two and stitch the ends together with a small knot. Slice a small hole in the middle of the green felt for the top of the strawberry, and push the ribbon into it. You can secure it onto the felt with a small stitch now if you want, but I do that whilst I stitch the green leaves on, a few steps later. 6. Pin the top of the strawberry onto the body. Using 2 strands of green cotton and an applique stitch, stitch the top of the strawberry onto the body. Tip: When I do the points I push the needle down through the very tip of the felt for a cleaner finish. 7. Stitch the leaves and flower onto the top of the strawberry with a little decorative cross. Decorate the top of the flower with pins (like I have done here) or coloured beads. And there you have it - one cute strawberry! My little guy is now a big three year old boy. When did that happen? I blinked and he is a 'three-nager' (oh yes, now I understand what that phrase means). Despite the toddler antics I fall in love with him a little bit more every day - I am truly blessed and so proud to be his mummy. 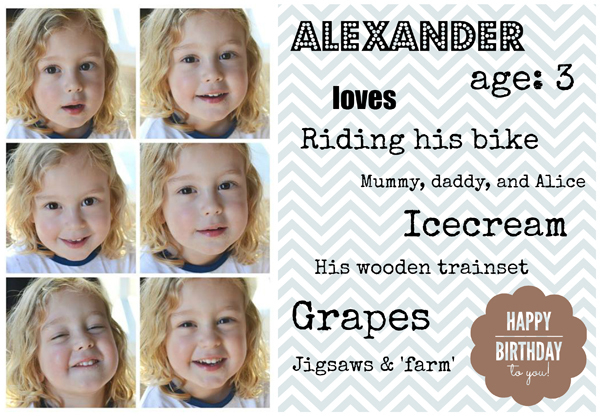 We celebrated his special day with a visit to his favourite play-cafe, followed by a little family party. 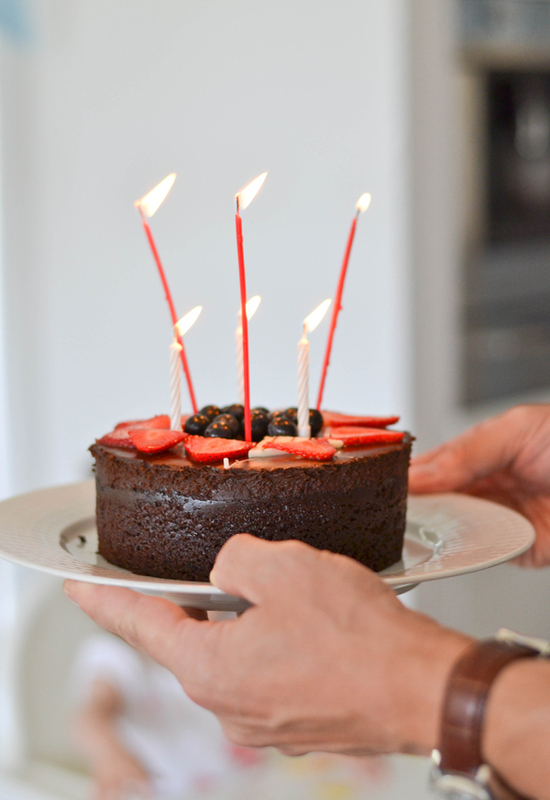 He got his special 'happy birthday cake' - a chocolate mousse cake with strawberry topping (his favourite, he would live on chocolate cake if I let him). He got lots of small presents - a jigsaw puzzle, playdough set, a little model airplane and a helicopter, pair of binoculars, books, and a special new clock (that tells him when he needs to go to sleep and when he can get out of bed). However his favourite present by far is his new nightlight - to keep all the night monsters and beasts at bay. It was made for him by the very talented Daniela from Trebuchet blog, one of my favourites. 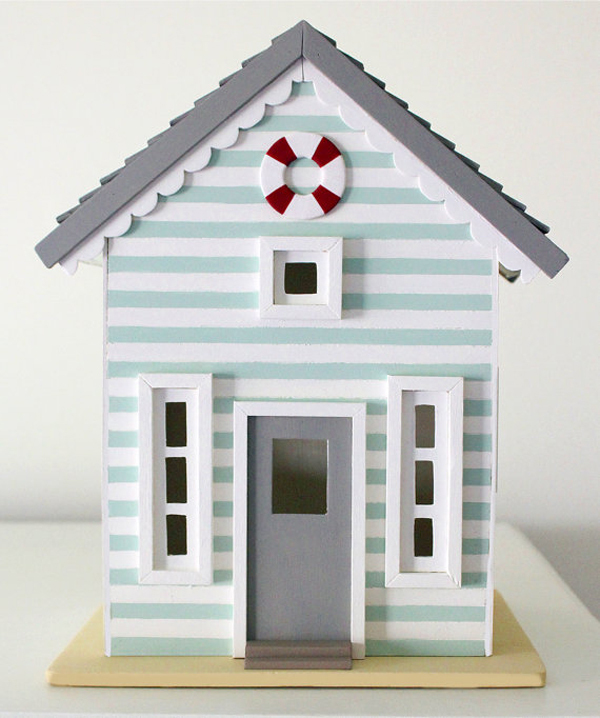 Daniela now has an Etsy shop called Casita selling these adorable hand-made wooden nightlights. I bought one for Alice too (of course), I will share a picture of that soon. I squealed when I opened the parcel, they were even more perfect in real life than in the pictures, such attention to detail! Thank you so much, Daniela. 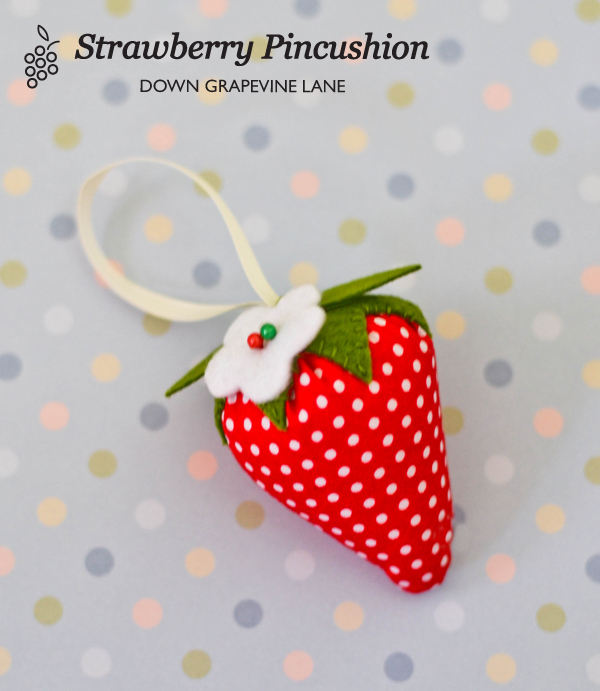 Life at Down Grapevine Lane headquarters is busy as always, I have a number of projects underway, and I haven't forgotten about the strawberry pincushion tutorial - which is coming next.